BLACKPOOL had obscure beginnings as a cluster of late medieval farmsteads. It developed early, but slowly, as a sea-bathing place in the 18th century, with a period of consolidation in the first half of the 19th, followed, after the coming of the railway, by phenomenal growth which made Blackpool the country's leading resort by the end of that century. Fame and unequalled success engendered great pride and confidence, expressed in ambitious civic schemes up to the time of the Second World War. After the war, Blackpool at first retained its popularity with a practically unchanged formula. However, unlike many other resorts, it responded to the great social changes which took place from the 1960s onwards; sadly squandering some of the town's slender architectural legacy in the process. Most of Blackpool's development and change has taken place since the invention of photography. Consequently, its pictorial history is particularly rich and comprehensive. Buildings have constantly been altered, extended and replaced as proprietors competed to attract the custom of the ever increasing flow of visitors. 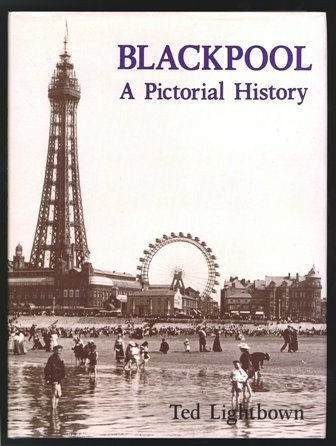 From a vast archive of the excellent old photographs of the town, its people and its visitors, the author has taken care to seek out and select a superb range, not previously published, vividly illustrating Blackpool's changing face and recording many long forgotten aspects of this most enterprising and remarkable resort.